The night May 31 / June 1 was the first one after a period of extremely bad weather. 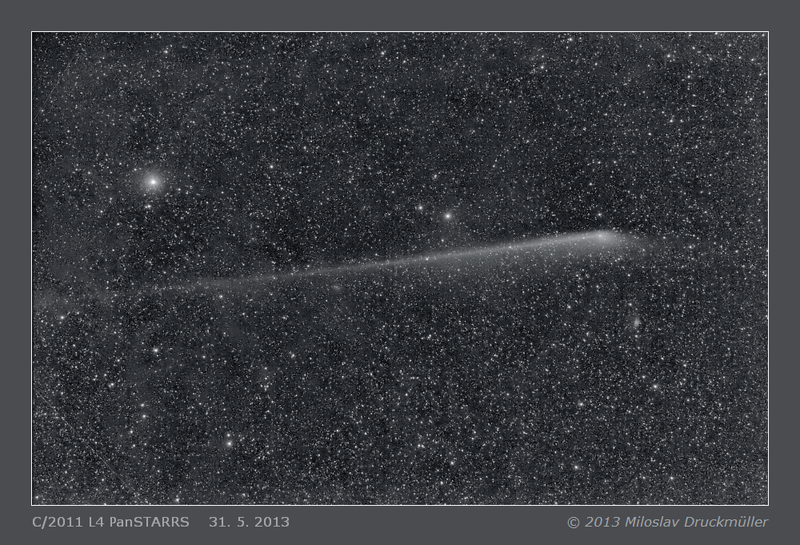 The image shows not only the long comet's anti-tail but galactic dust clouds near Polaris as well. These clouds have very low contrast that is why the CLS filter was used in order to minimize the influence of light pollution. The unmodified Canon 5D Mark II with CLS filter has very low red sensitivity. Therefore, it was not possible to obtain acceptable colors and the image is presented as B&W.